This was sent off to a dear friend. How are your holiday preparations proceeding? The offspring helped decorate the Christmas tree over the weekend. And I printed my wall calendars (3 – 2 for gifts, 1 for here). I still have not completed a holiday card – good thing I have lots of sentiments to choose from because HAPPY NEW YEAR is looking more and more appropriate! 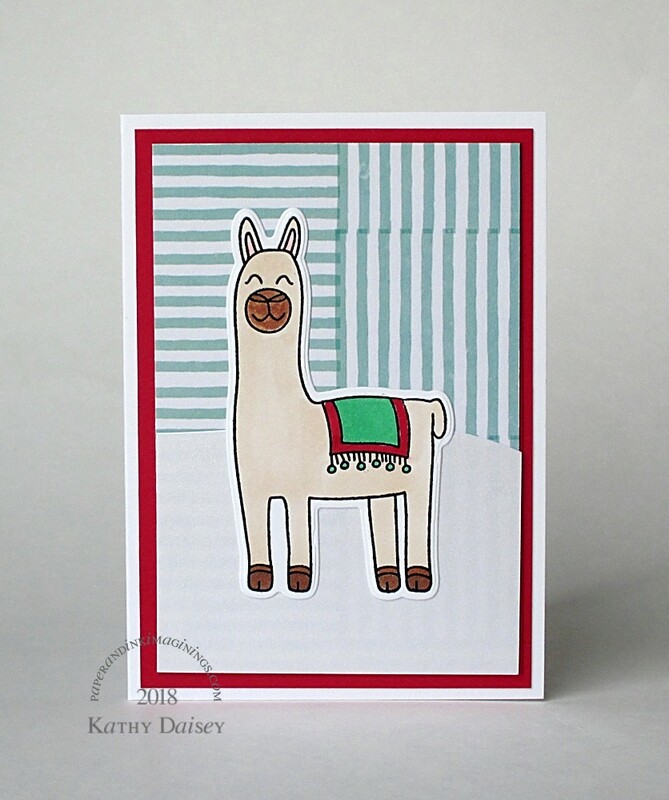 Supplies: Stamp – Papertrey Ink, paper – Crate Paper Falala, Neenah Classic Crest Solar White, Stampin’ Up! Pink Pirouette, Real Red, Wild Wasabi (retired), ink – VersaFine Onyx Black, dies – Reverse Confetti (holly, berries), Simon Says Stamp (banner), embossing powder – Filigree Fine Art Powder clear. 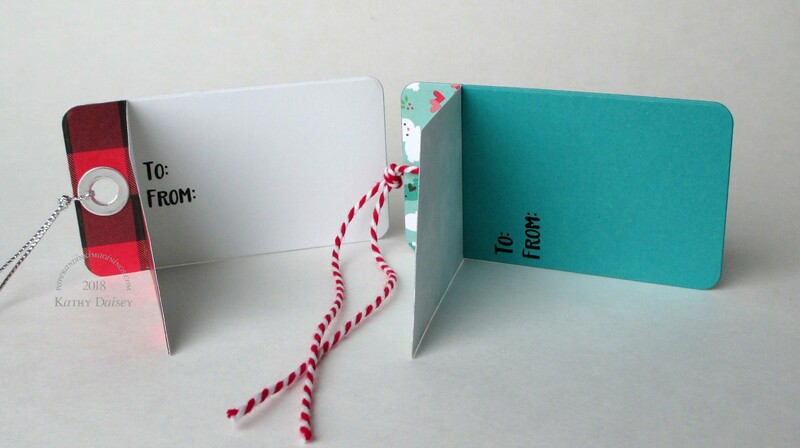 Categories: card, holiday, thinking of you | Tags: card, Crate Paper, Falala, Neenah, Papertrey Ink, Reverse Confetti, Simon Says Stamp, Stampin' Up!, Tsukineko, VersaFine | Permalink. 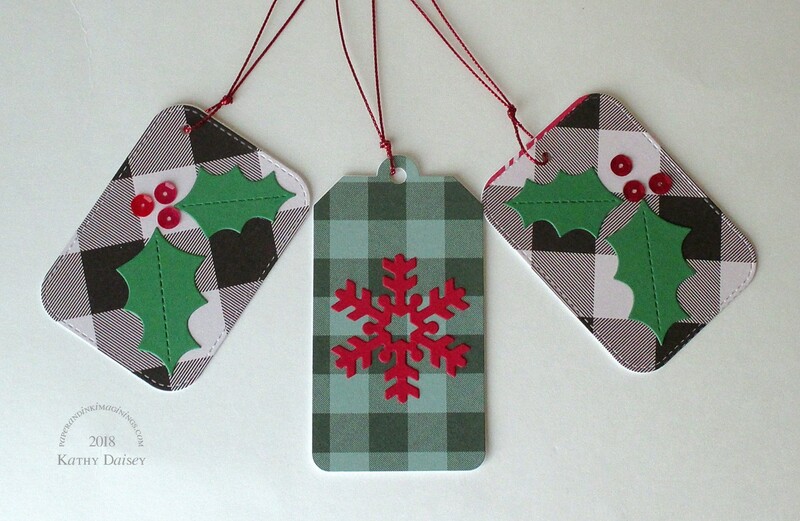 I allotted my morning time on Wednesday to gift tags, and I got 7 made, along with a note card. This checked paper is from last year’s Crate Paper Falala pad. 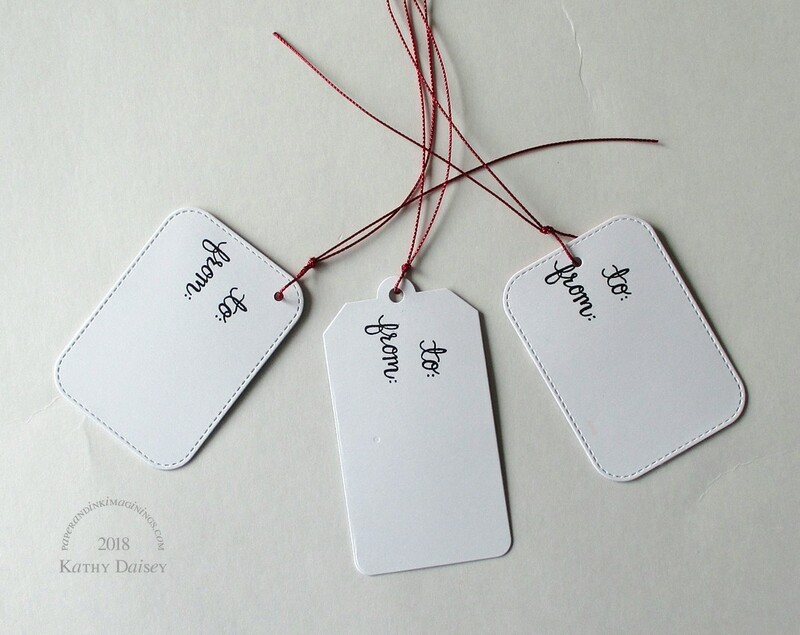 Here are the backs of the tags. You can see on the middle one there was a rogue dot from some other die cut – I got quite a nice impression. 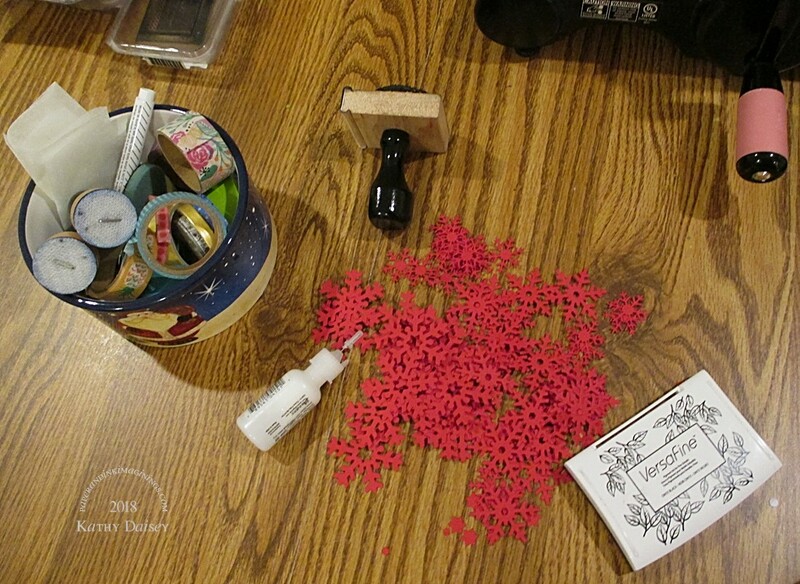 The red snowflake is one out of the pile I had after finishing my parents’ Christmas cards. Supplies: Stamps – Hero Arts, paper – Crate Paper Falala, My Favorite Things Field Day, Neenah Classic Crest Solar White, Stampin’ Up! Real Red, ink – VersaFine Onyx Black, dies – Lawn Fawn (tag), My Favorite Things (outstitched rounded rectangle, snowflake), Reverse Confetti (holly), sequins – Doodlebug Designs, embossing powder – Filigree Fine Art Powder clear, metallic cord – Paper Mart. 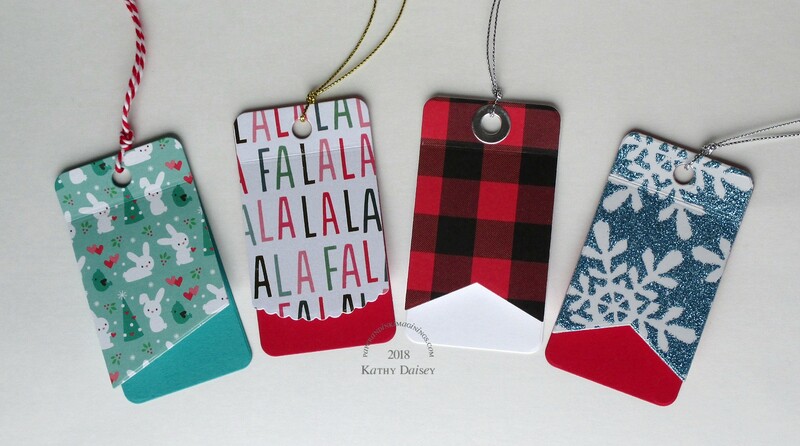 Categories: gift tag, holiday | Tags: Crate Paper, Doodlebug Design Inc, Falala, Hero Arts, Lawn Fawn, My Favorite Things, Neenah, Paper Mart, Reverse Confetti, Stampin' Up!, Tsukineko, VersaFine | Permalink. This sentiment was included in the Gina K. Designs stamp set that came with the wreath builder templates. Supplies: Stamps – Gina K Designs, Taylored Expressions, paper – Crate Paper Fa La La, Neenah Classic Crest Solar White, Stampin’ Up! Pacific Point, inks – Copic B24, E33, R21, R29, VersaFine Onyx Black, dies – Spellbinders (square), Taylored Expressions (dog), embossing powder – Stampendous Detail clear. 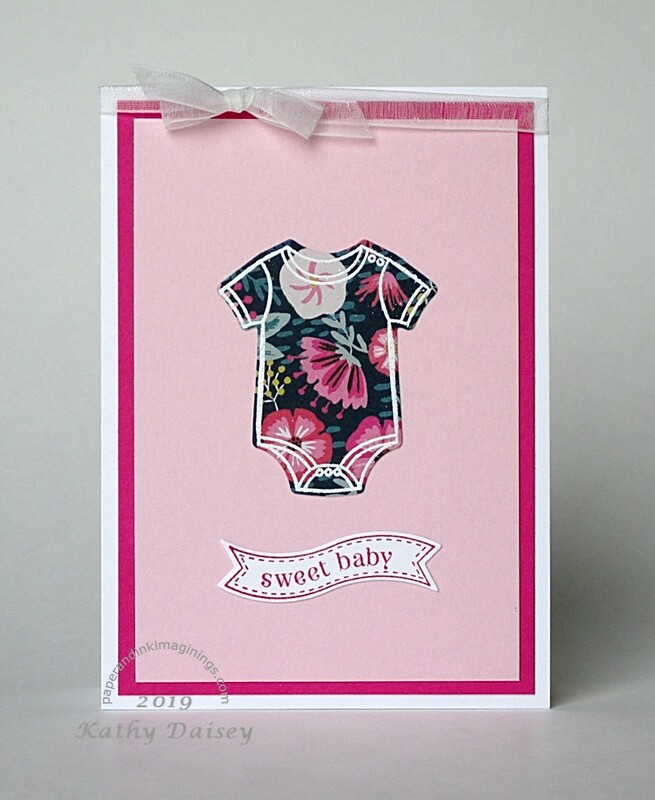 Categories: card, caring, encouragement, I love you | Tags: card, Copics, Crate Paper, Gina K. Designs, Neenah, Spellbinders, Stampendous, Stampin' Up!, Taylored Expressions, Tsukineko, VersaFine | Permalink. 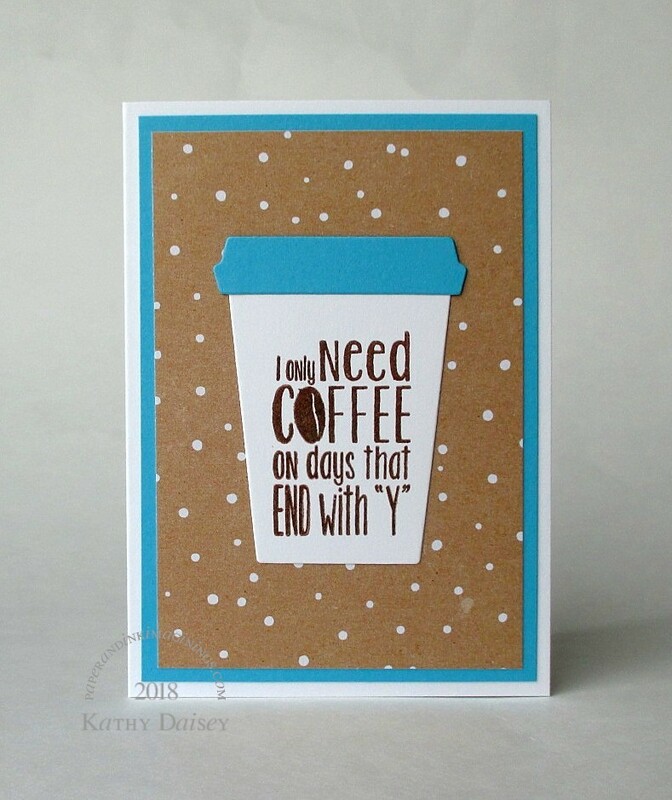 I found this sentiment already stamped in my scrap folder, and thought, “hmmm…will that fit within one of my coffee cup dies? ?” Yep. And the tan dotted paper is actually from a Christmas paper pad (I get that the white dots are SNOW…but the tan? For Christmas? ), but to my eye, it looked like coffee with creamer. Supplies: Stamp – Simon Says Stamp, paper – Crate Paper Falala, Neenah Classic Crest Solar White, Stampin’ Up! Tempting Turquoise, ink – VersaFine Vintage Sepia, dies – Hero Arts, embossing powder – Filigree Fine Art Powder clear. 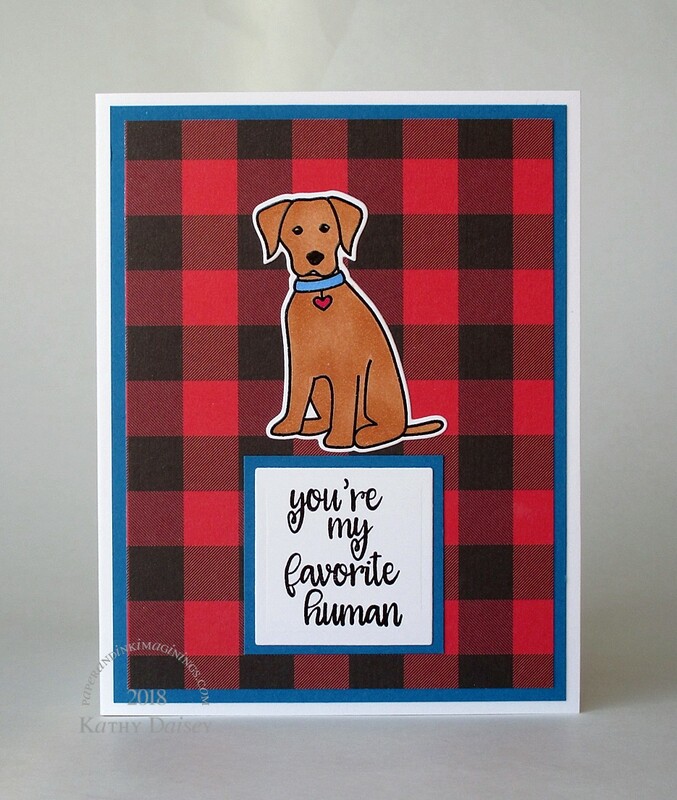 Categories: card, caring, encouragement, note | Tags: card, Crate Paper, Hero Arts, Neenah, Simon Says Stamp, Stampin' Up!, Tsukineko, VersaFine | Permalink.